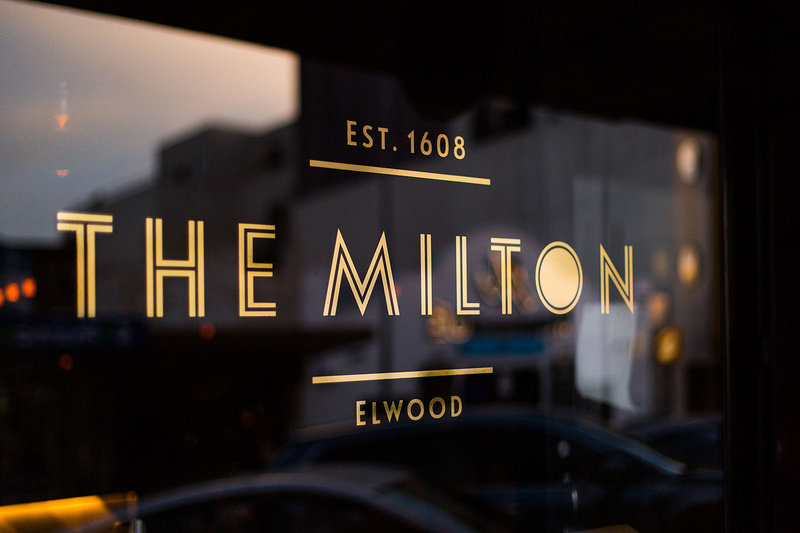 Our approach for The Milton was an exercise in juxtaposition with old and new elements, organic and manufactured materials, hard and soft textures all harmoniously balanced. 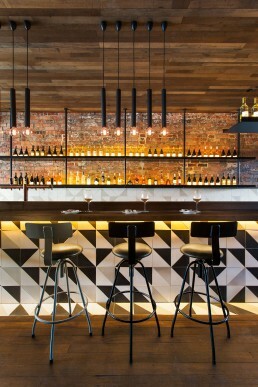 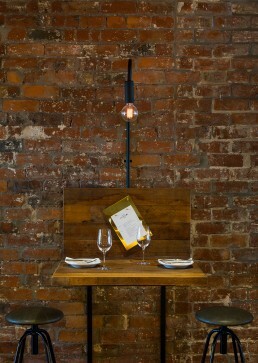 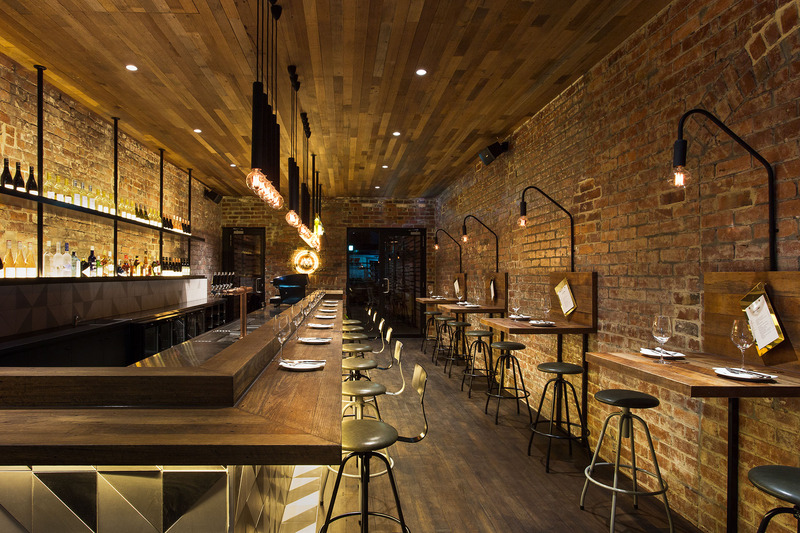 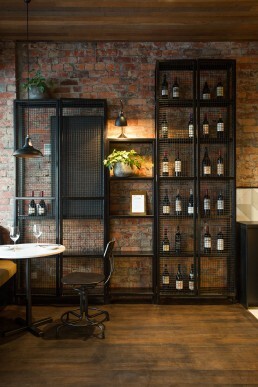 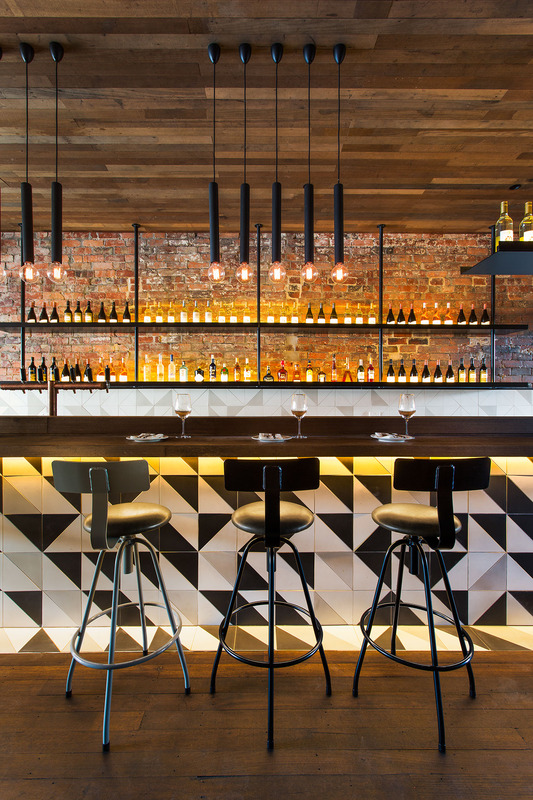 Exposed red brick and the reclaimed Australian timber we sourced are paired with brass fixtures, blackened steel wine racks and Carrera Marble tabletops. 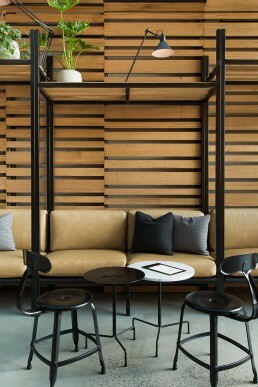 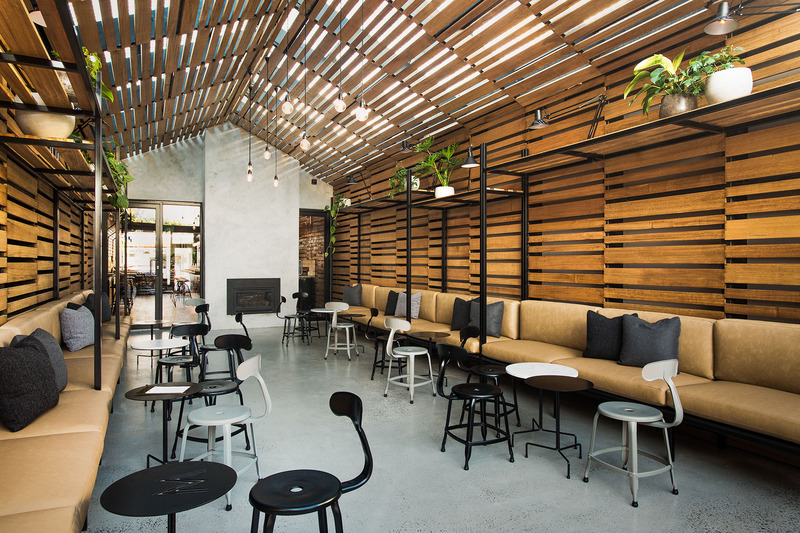 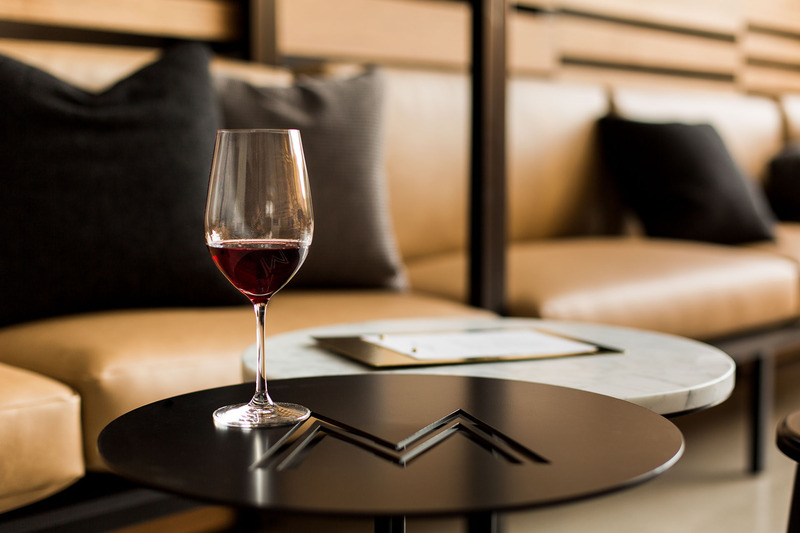 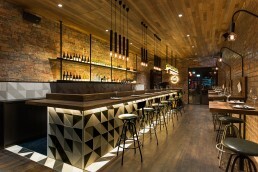 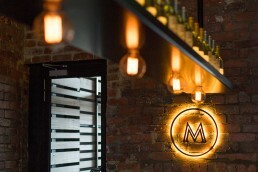 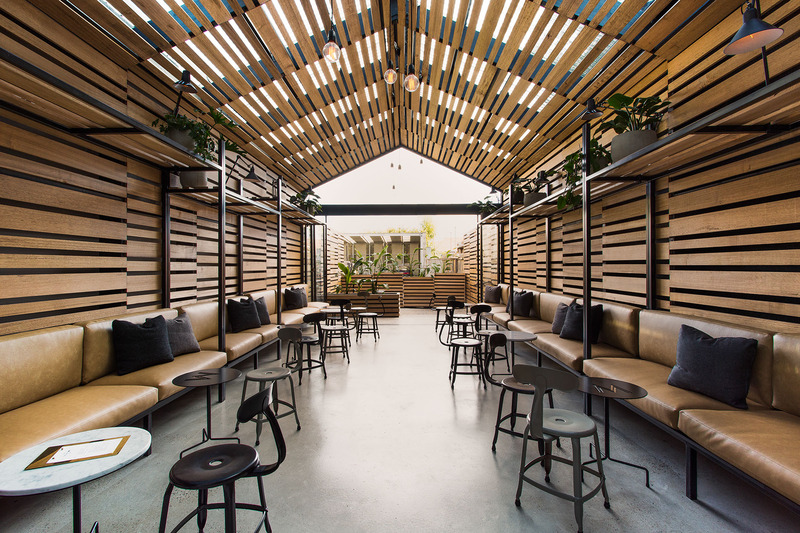 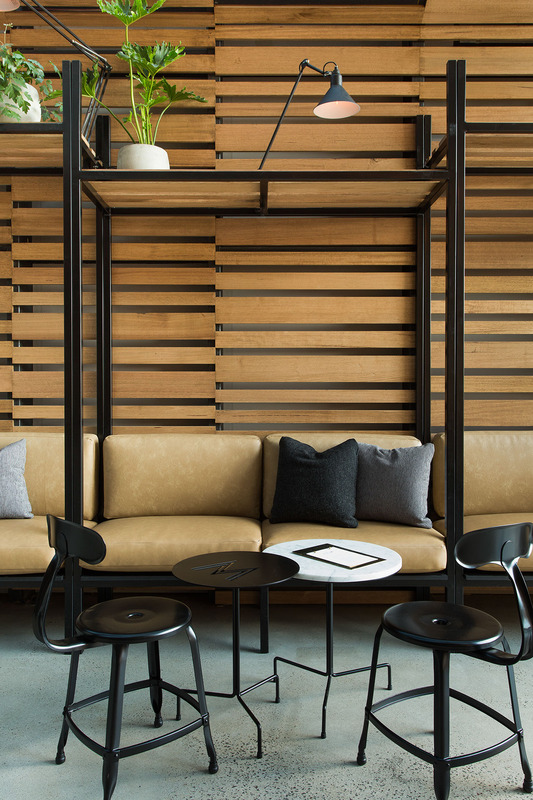 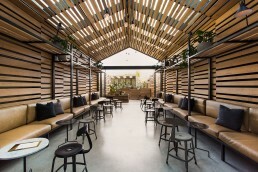 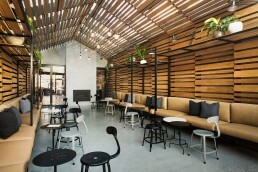 The brief was to establish a venue that delivered the wine list and refinement of an up-market restaurant in the form of an understated urban bar. 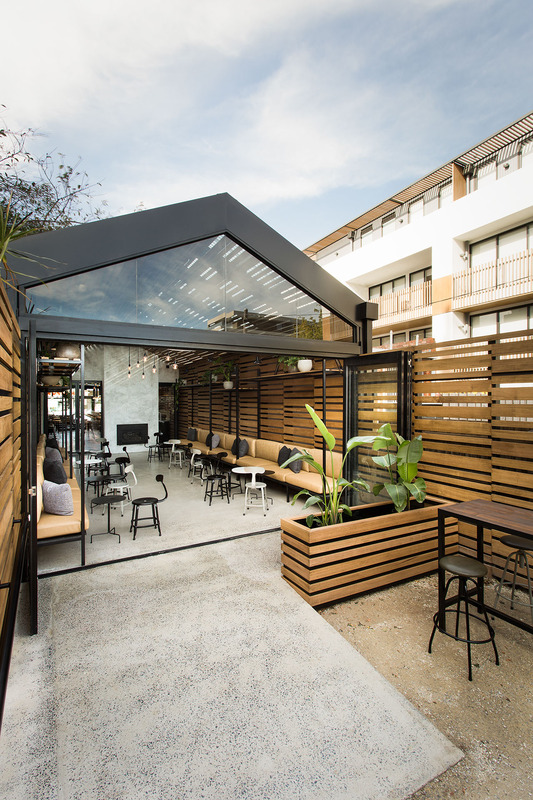 Mellow and mature, our design response went about articulating a multi-zoned space that was at once accessible, atmospheric and moody, yet true to purpose with drinking, eating and socialising placed at the centre. 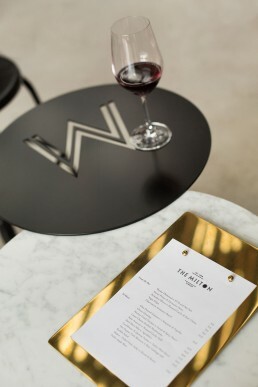 Gold foil signage, a nod to tradition, and tailor made furniture embossed with the signature ‘M’ subtly echo the brand language.